Softcover (7 3/4 x 9 3/4), Natural History Museum/Cambridge University Press, 1996 reprint. 256 pages. Color and b/w illustrations. Clean and tight with cover crease on front, dent/bump on back. 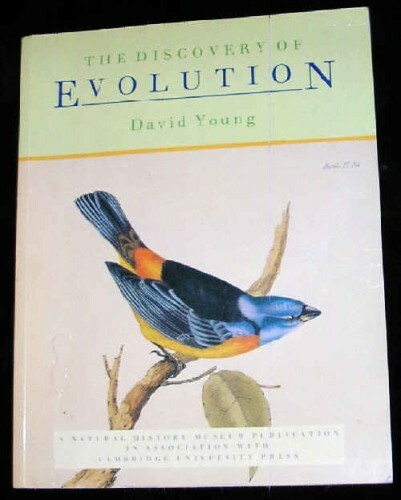 "Using an historical narrative of discovery, covering 300 years of development, from the work of the early naturalists to the modern synthesis of evolutionary theory, David Young explains the theory of evolution. Numerous illustrations add interest and important detail to the narrative."